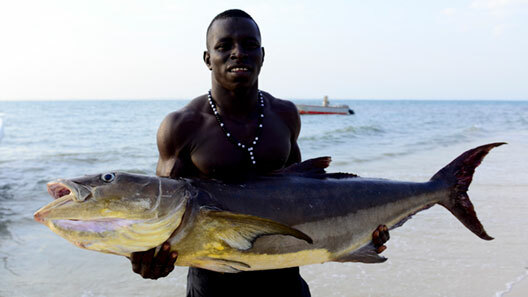 SPORT FISHING IN GUINEA BISSAU. ORANGO NATIONAL PARK. Guinea Bissau is a small West African country with vast natural and cultural wealth. 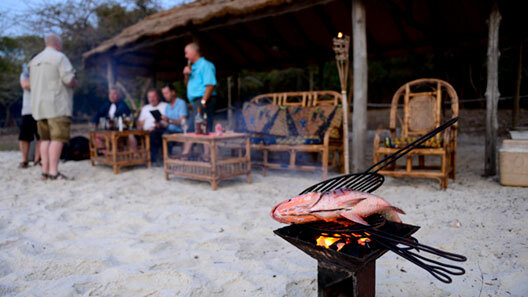 Together with vast areas of mangrove forests and tropical forests. The perfect ecotourism destination. Fishing in the interior waters of the Bijagós Island archipelago is simply amazing, where nutrient-rich waters are home to a large variety of species. Giant tarpons, a number of large Shark species, Carangidae, Sea Bass, Red Snapper, different species of manta rays, Barracudas, Cobias and lots of different species of large fish that are hard to catch in other areas. 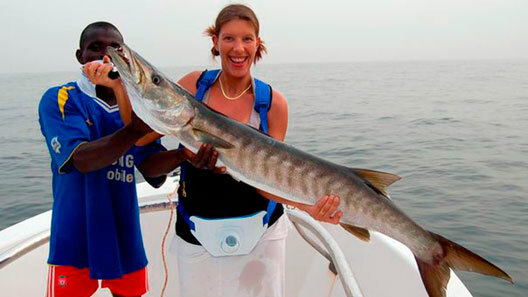 In short, it is the perfect fishing tourism destination. Nearly all the fishing techniques are carried out from the boat and it is interesting that despite the techniques of tarpon and shark fishing being quite different, they are both practiced from an anchored boat. Trolling fishing tends to be very productive, as Carangidae, Barracudas and Red Snapper react well to our Rapala lures. 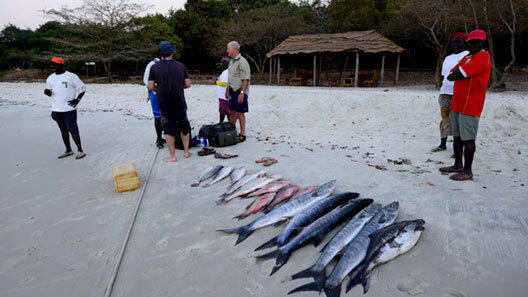 Those who enjoy Spinning, Popper or Jigging fishing, will be in fishing heaven in Guinea Bissau, given the large number of Carangidae that live in these waters, with weights ranging between 5 and 20 kilos. You must bear in mind that there are very strong tides and currents which provide our catch with oxygen, giving them an incredible ability to fight back. 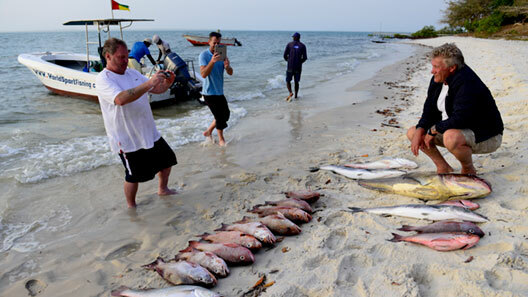 Fun fishing techniques include fishing from the beach, either surfcasting or spinning and bottom fishing with live bait, which will provide you with a marvellous show if you come across the shoal of sea bass. 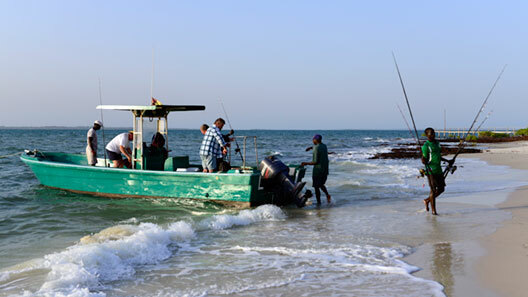 Orango Parque Hotel has different types of fishing boats depending on the size of the group and they are approximately 6 metres long with a 75 hp outboard engine, which enables them to maintain cruising speeds of over 20 knots. Most trips to the fishing points are short. 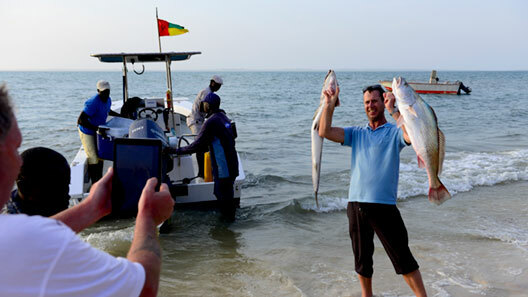 The Skippers are experienced local fishing guides that have been practicing this type of fishing for years therefore they know exactly where to take us to enjoy our sport. Entrance to the National Park and tours included in the route.